Happy, happy Sunday, my bookish friends! Here is another mind-blowingly amazing contemporary YA novel. I am dying for Chbosky to write another novel, like I’m sure many of you are. Has anyone heard any word of him working on any other projects? He’s definitely one of the YA contemporary greats like Benjamin Alire Sáenz, Adam Silvera, and Jandy Nelson. Standalone Sunday is a weekly meme created by Megan@bookslayerReads. This meme is about a Standalone book (that is not part of a series) that you loved and would recommend. Be sure to check out her awesome bookish blog! Yes, there is an actual Wallflower wine! 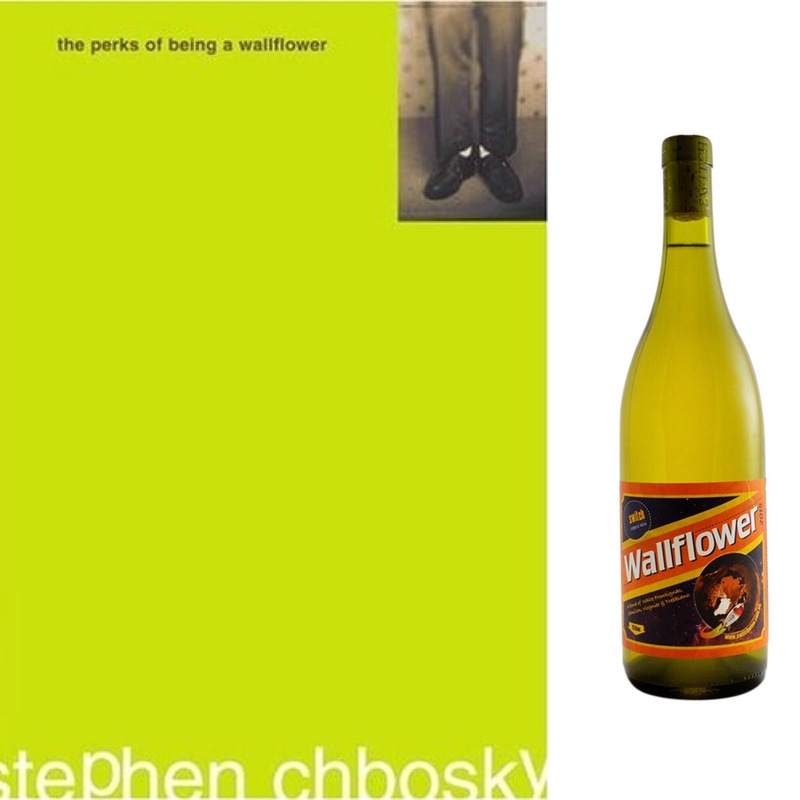 So why not try pairing this Wallflower White Frontignac Semillon with The Perks of Being a Wallflower?! It’s got a really interesting flavor, which goes well with the characters in this book. A little bit sweet, a little bit salty, and lot a bit complex. I’m sure I could do Standalone Sundays on lovely contemporary YA novels for the rest of forever, but I would be so thrilled if anyone could recommend me a good YA fantasy standalone. I can’t recall reading one myself, but I would LOVE to. All my favorite YA fantasies are series or duologies. Ooh, nice wine pairing! 😊 I’ve yet to read this book, but it’s been on my TBR for years! Lol. I’ll have to try to get to it sooner rather than later. Thanks for the rec! Thank you! And thanks for hosting this meme. I’ve made some amazing blogger friends through this one! You’re welcome! And that’s awesome! Thanks so much for participating!! Great pick for wine. I didn’t read the book but the movie was meh to me. Enjoy! Sad to say, I’ve owned this book since it came out and still haven’t read it. But after your review I’m going to ASAP!! Thank you!! Love this one!! Did you like the movie adaptation? I did like it. I thought the casting was spot on. Did you like it? I did, the cast really was great! I swear I told a thousand times to people that I was gonna read this one hahaha! Hahaha. Well, it’s never too late!